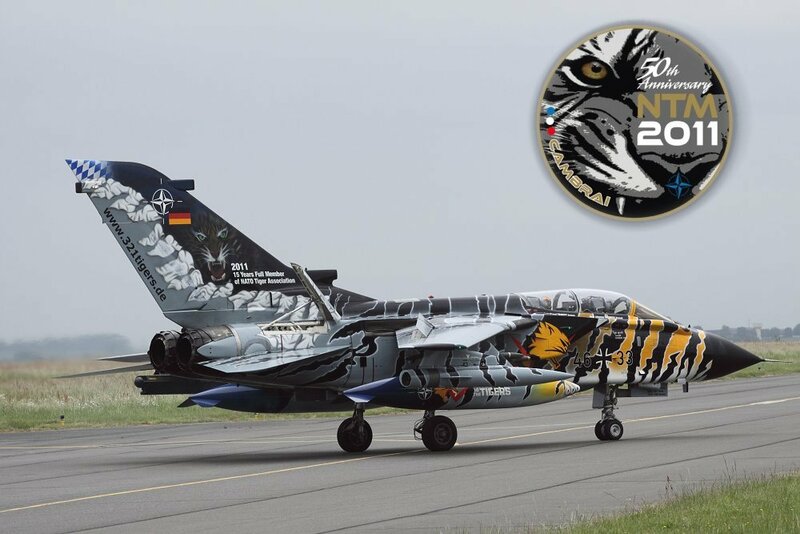 The NATO Tiger Association (NTA) celebrated its 50th anniversary during the tiger meet 2011 at BA103 Cambai. 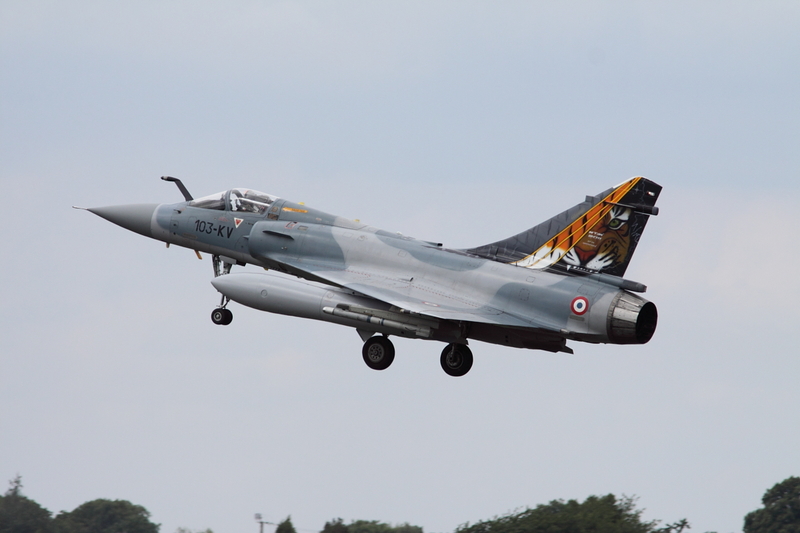 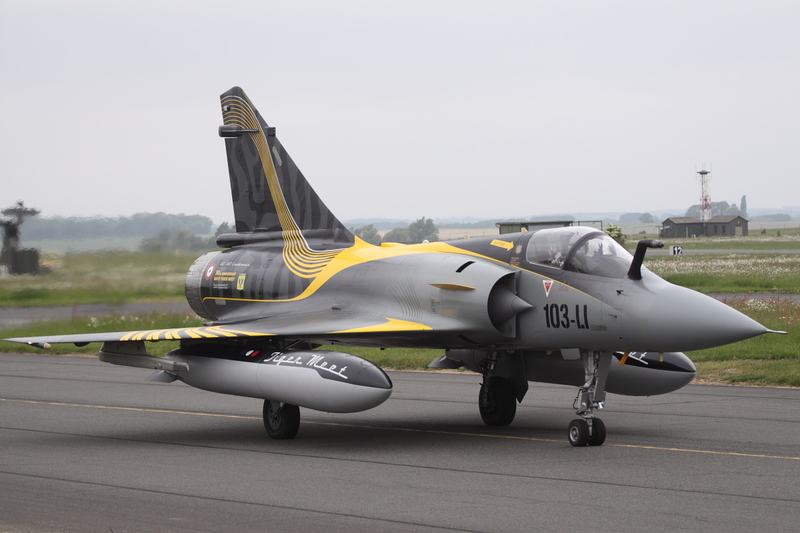 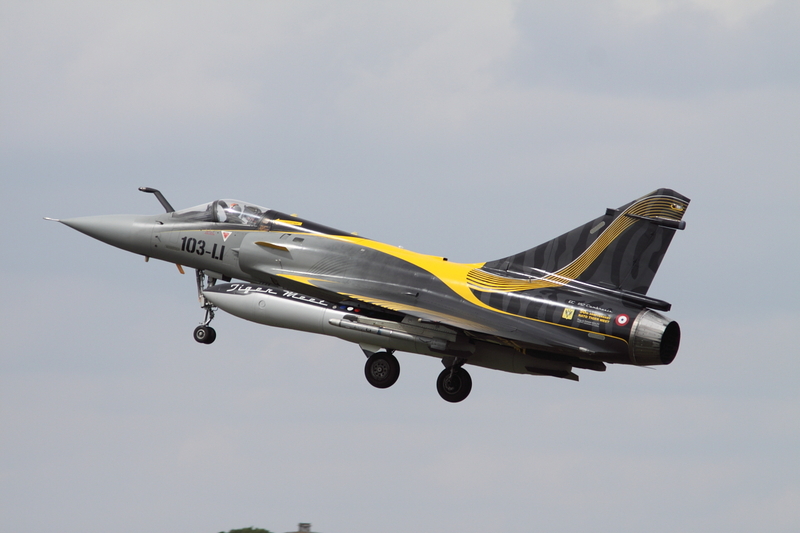 Over 60 aircraft from 15 nations deployed to the base in the North of France. 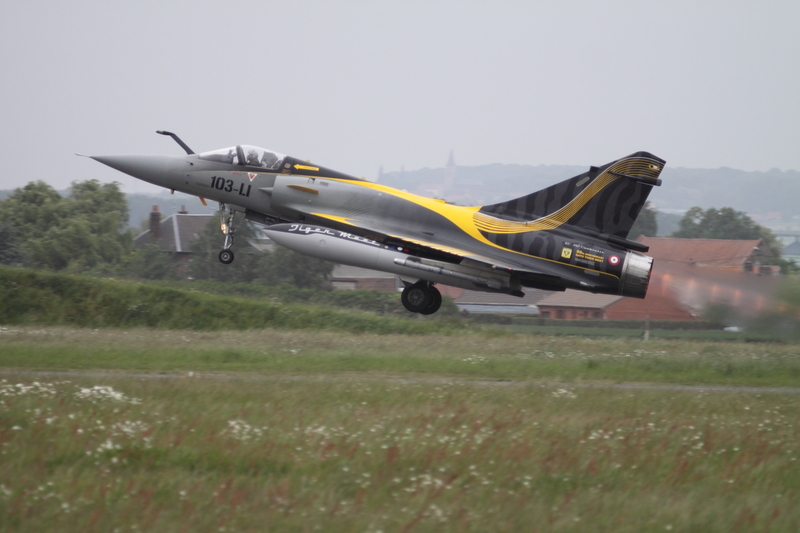 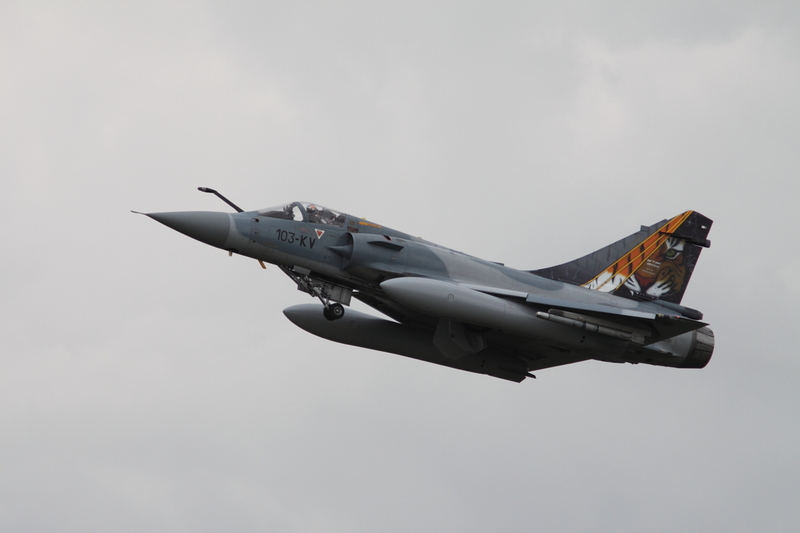 For the 7th and last time in their long history, Escadron de Chasse 01.012 ‘Cambrésis’ had the honor to organize the exercise before they themselves disbanded, and the closure of the airbase at the beginning of 2012. 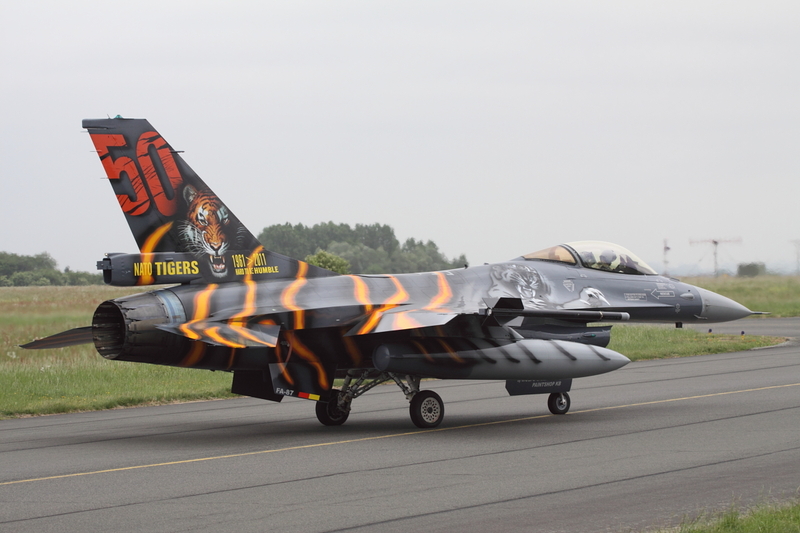 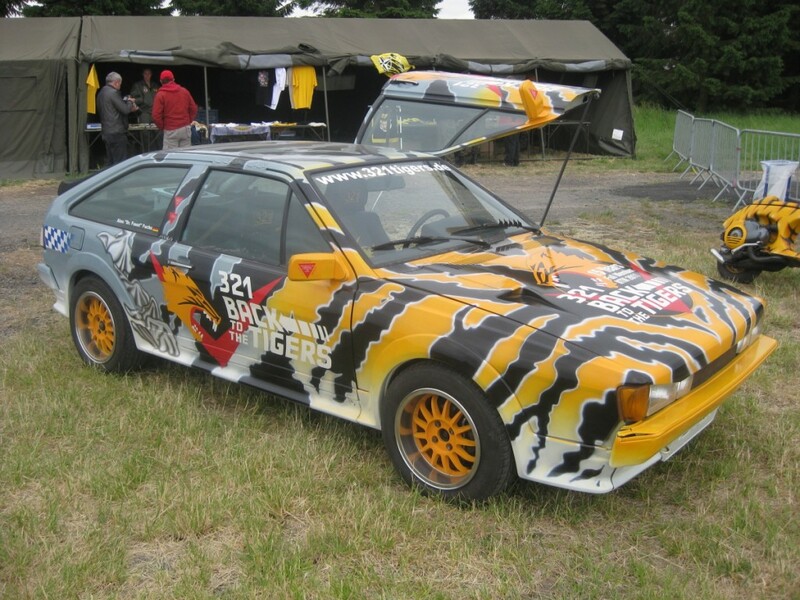 Tiger Meet 2011 was unfortunately affected by real world combat operations. 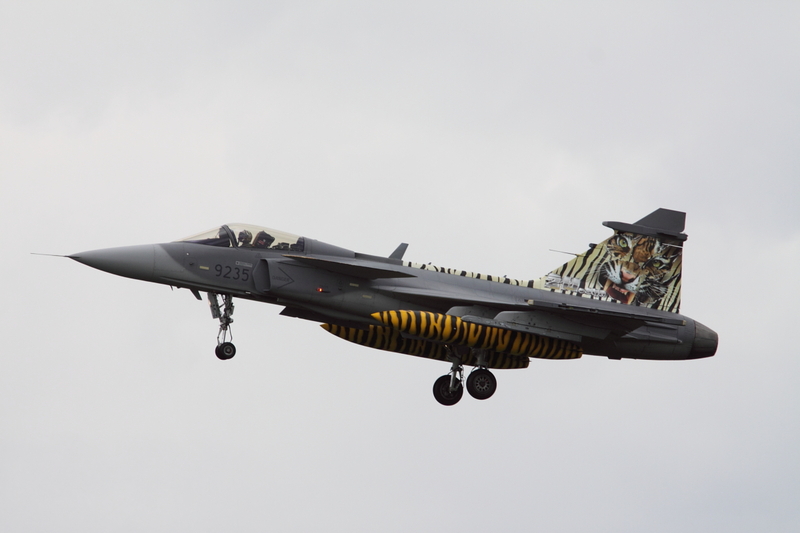 Participating Tiger units from Norway, Belgium, and the Netherlands were unable to attend due to operational commitments including support of Operation Odyssey Dawn in Libya. 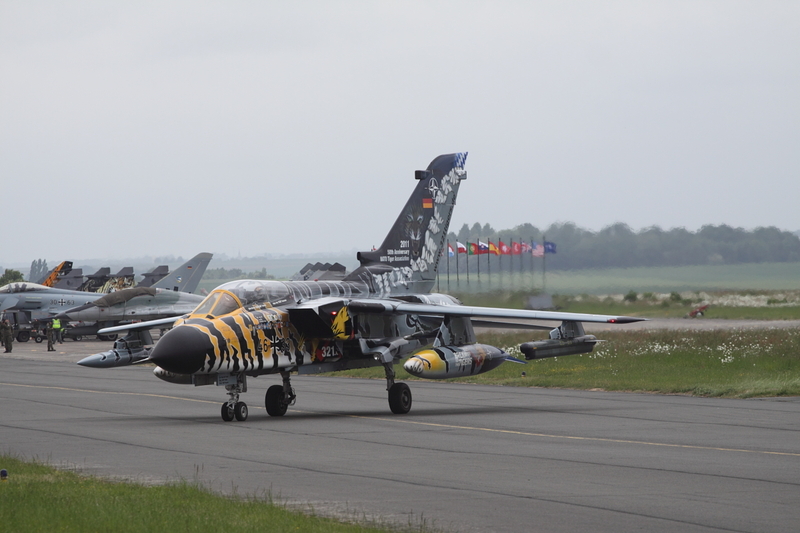 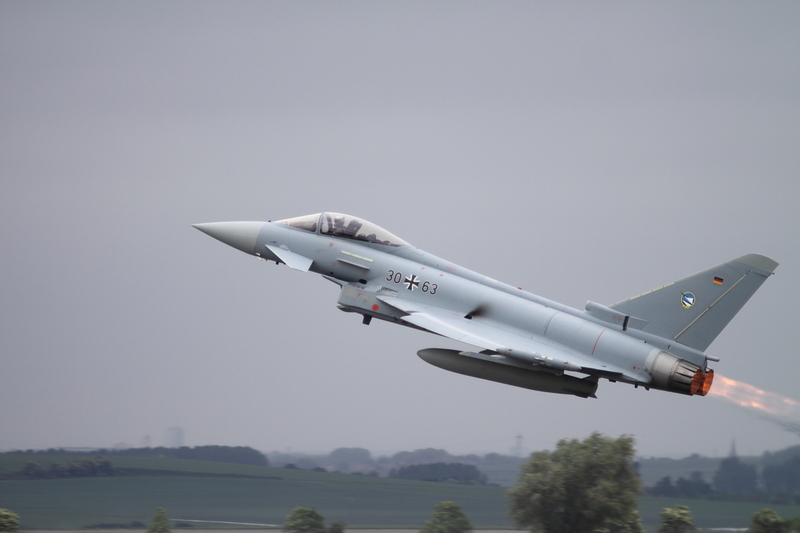 The German Air Force brought both IDS and ECR versions of their Tornados, while the Austrian AF sent a pair of Saab 105s. 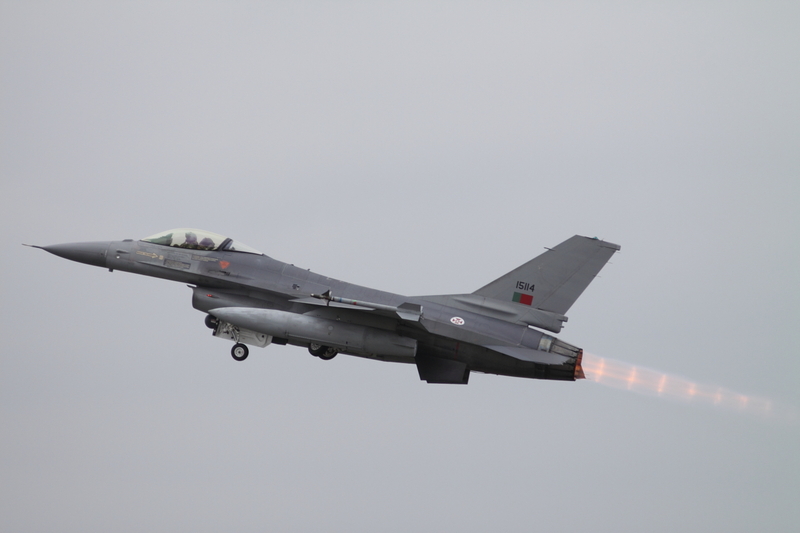 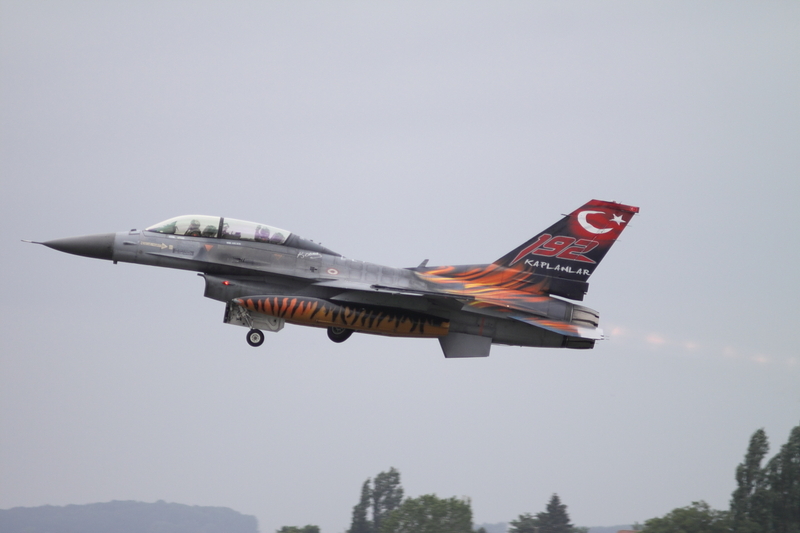 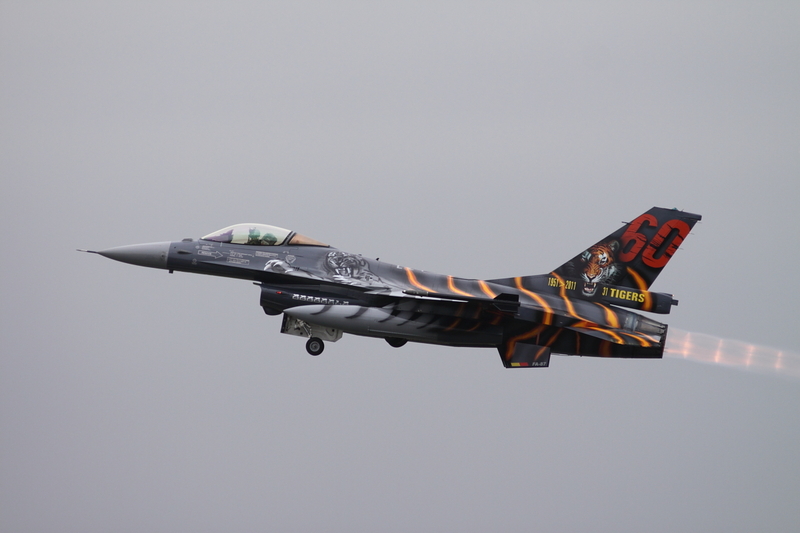 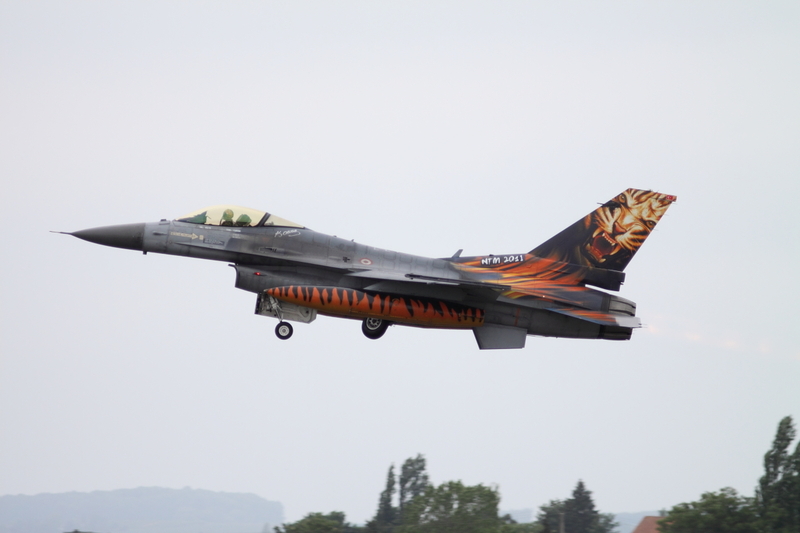 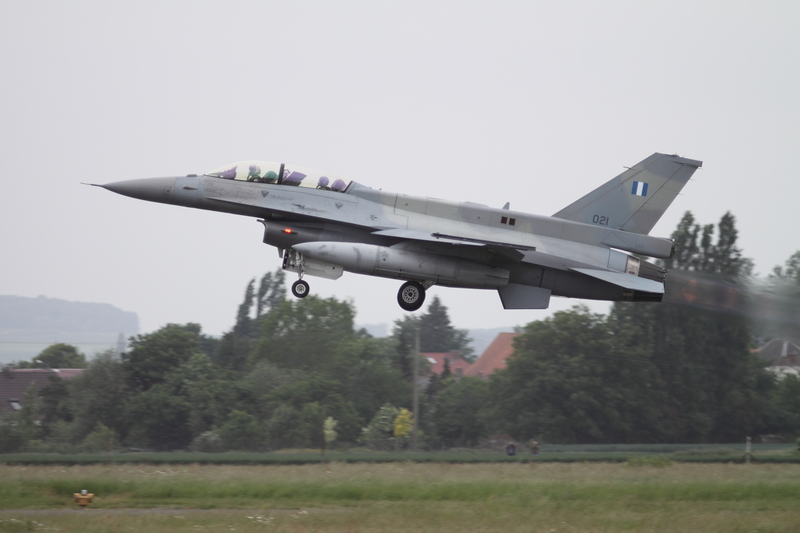 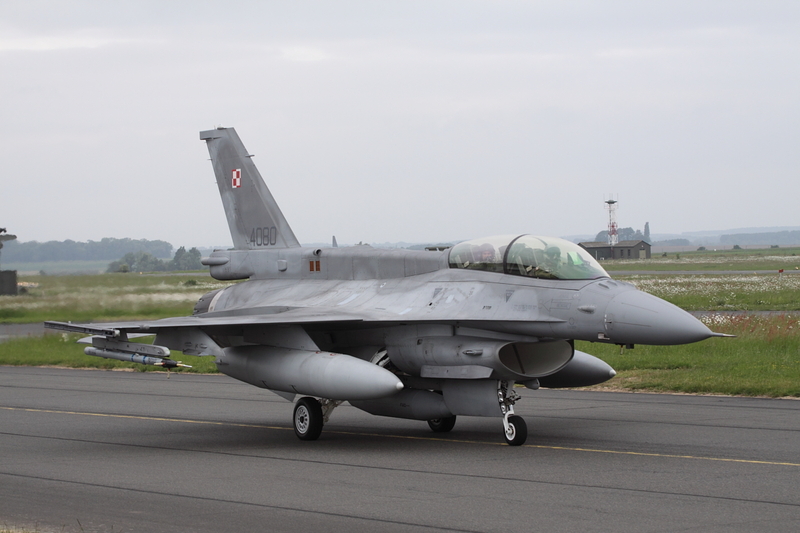 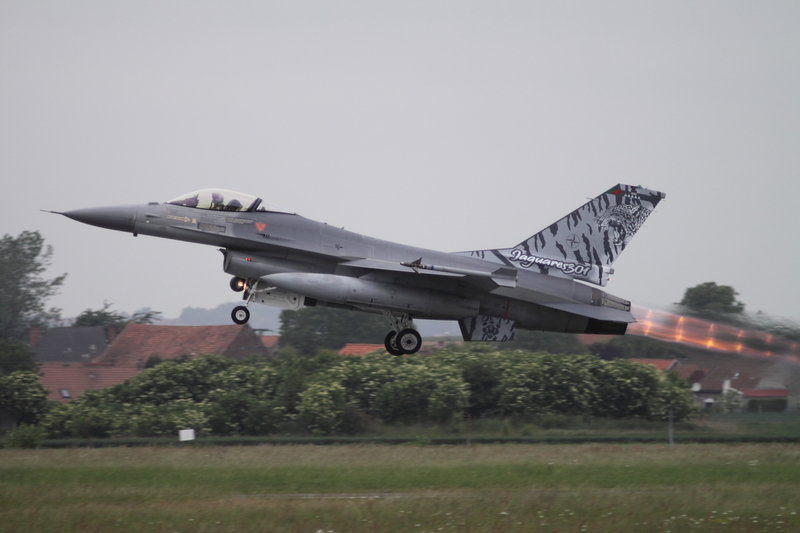 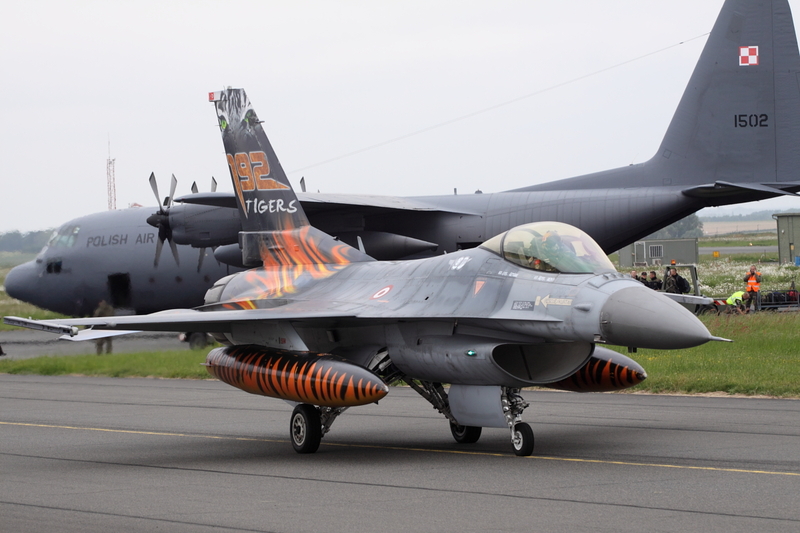 For the Viper fans, a large number of F-16s including those from Turkey, Poland, Portugal, and Greece were present. 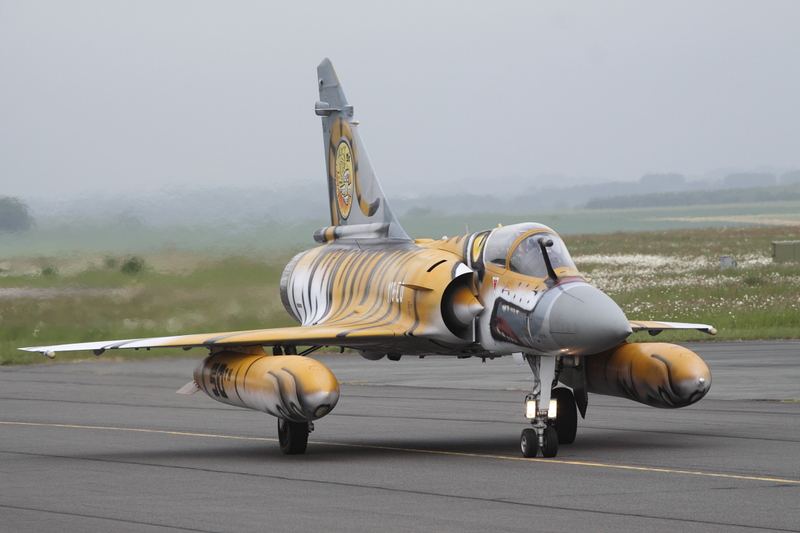 While the Belgian’s 31 Smaldeel remained committed to Libyan operations, their stunningly painted Tiger did make an appearance at Cambrai. 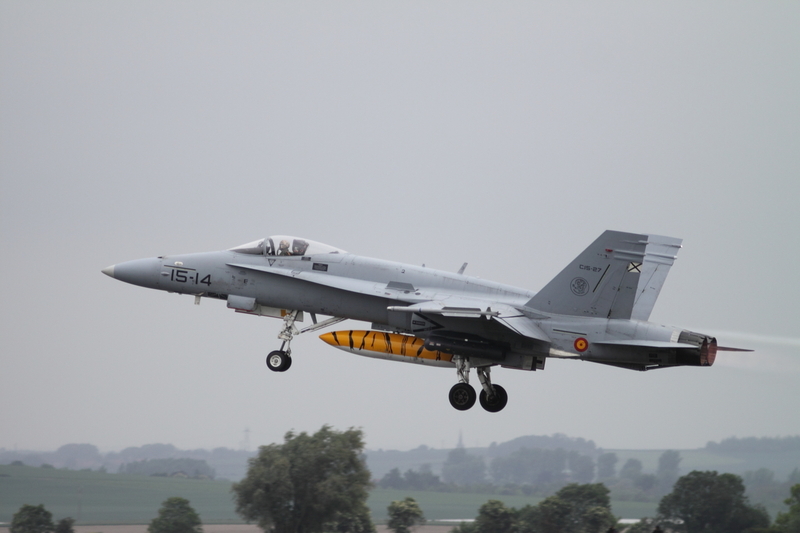 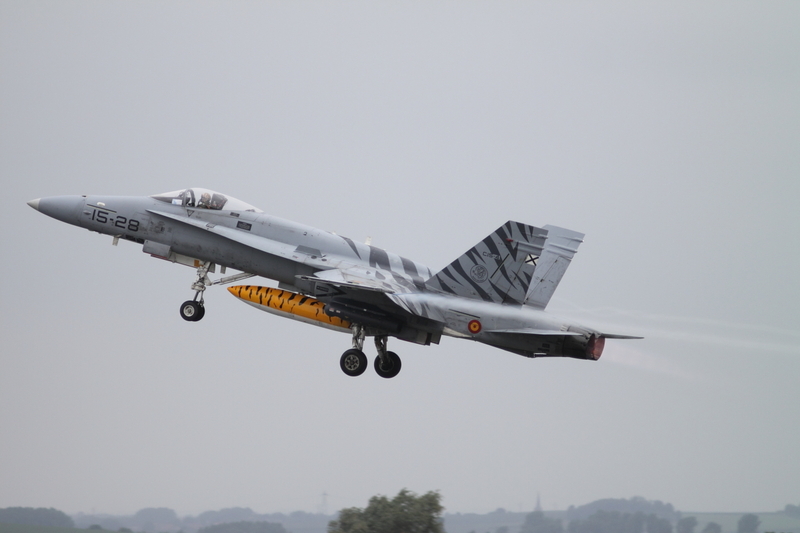 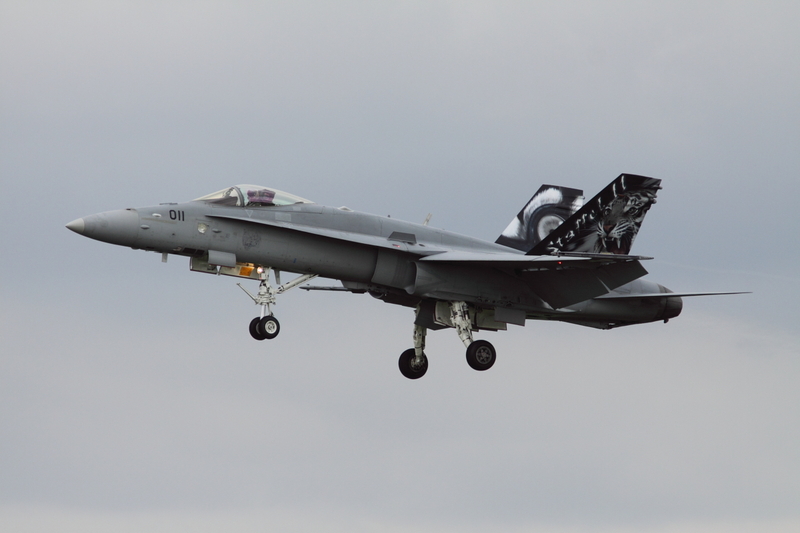 Also present were F/A-18 Hornets from the Swiss and Spanish (11 Staffel and Ala 15, respectively). 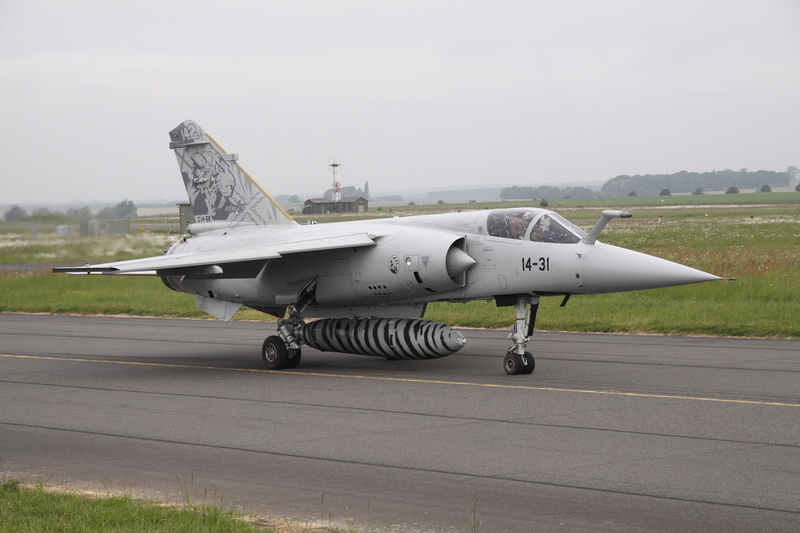 Saab JAS39 Gripens were flown by the Czech AF’s 211 Squadron, while 221 Squadron brought a pair of Mi-35 Hinds. 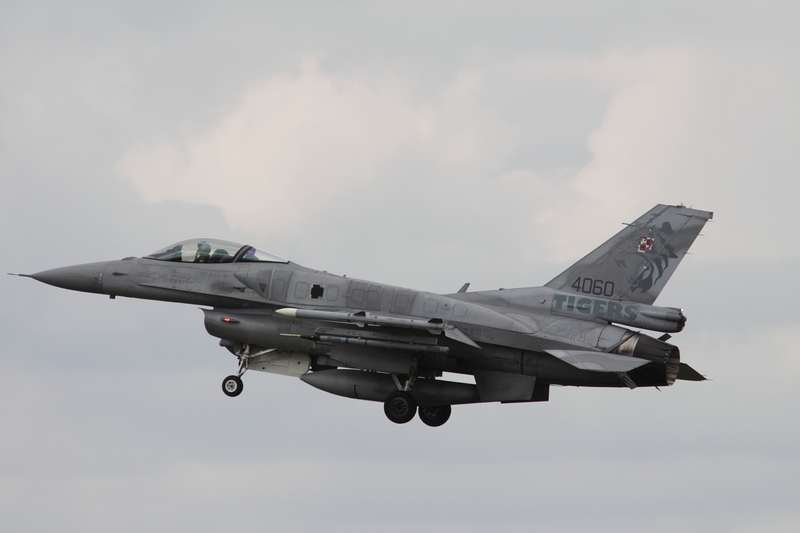 Slovakia’s 1st Fighter Squadron is an honorary member of the NTA, and a pair of their MiG-29s made a welcome addition to Tiger Meet 2011. 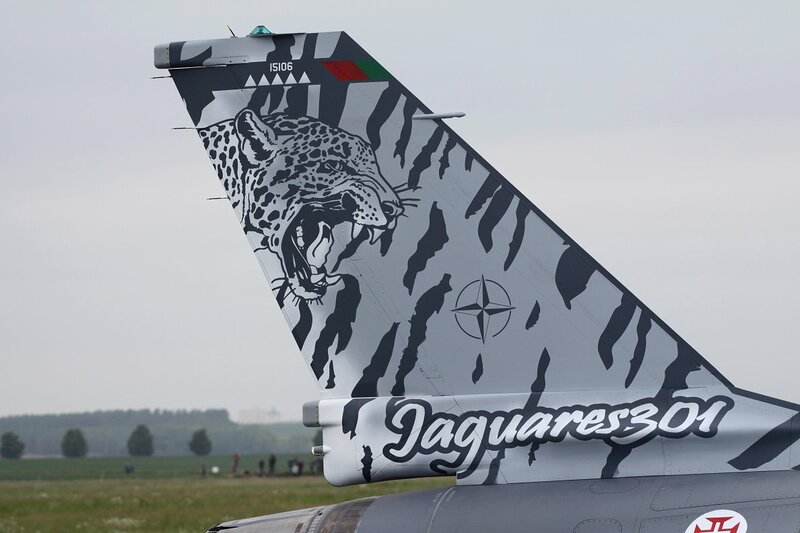 As always during a Tiger Meet, aircraft enthusiasts and photographers are attracted by the variety of aircraft types and operators, but mostly by the often very colourful paint schemes. 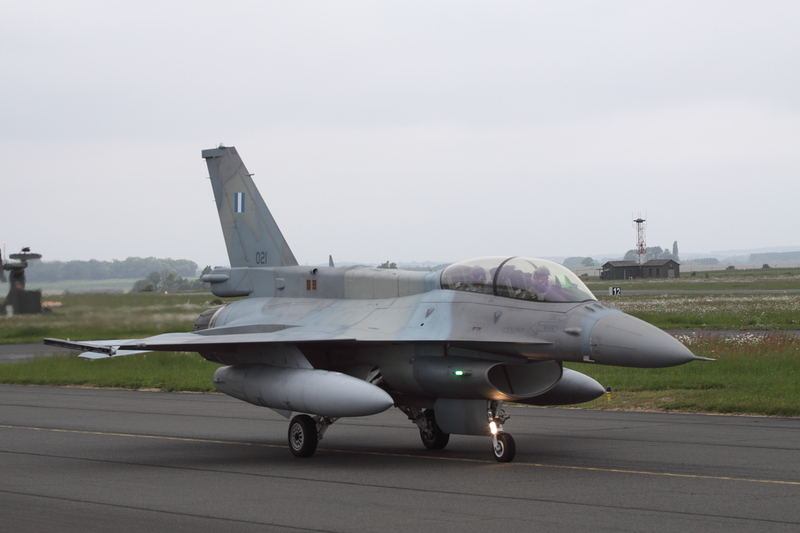 So was I, but unfortunately, the weather during the spotter day on May 16th, which I attended, didn’t play ball, but nevertheless it was a great day! 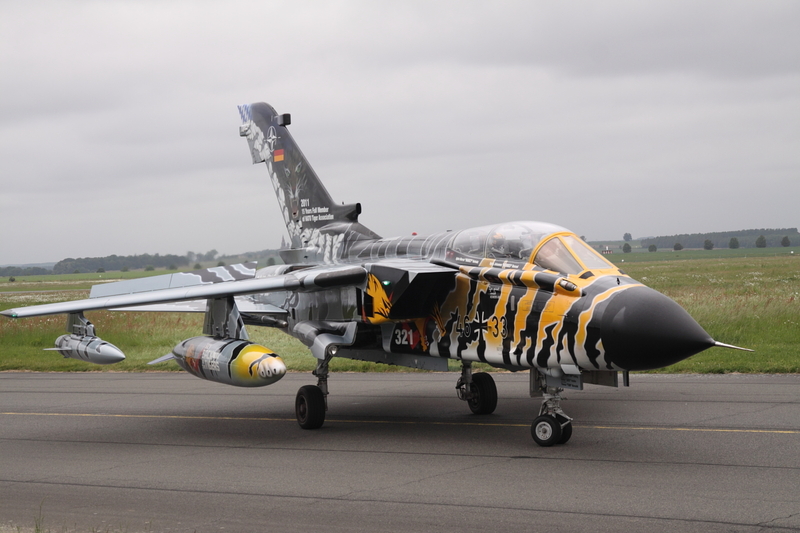 Not only aircraft were subject of creative artists!